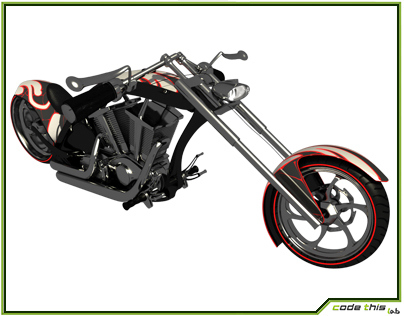 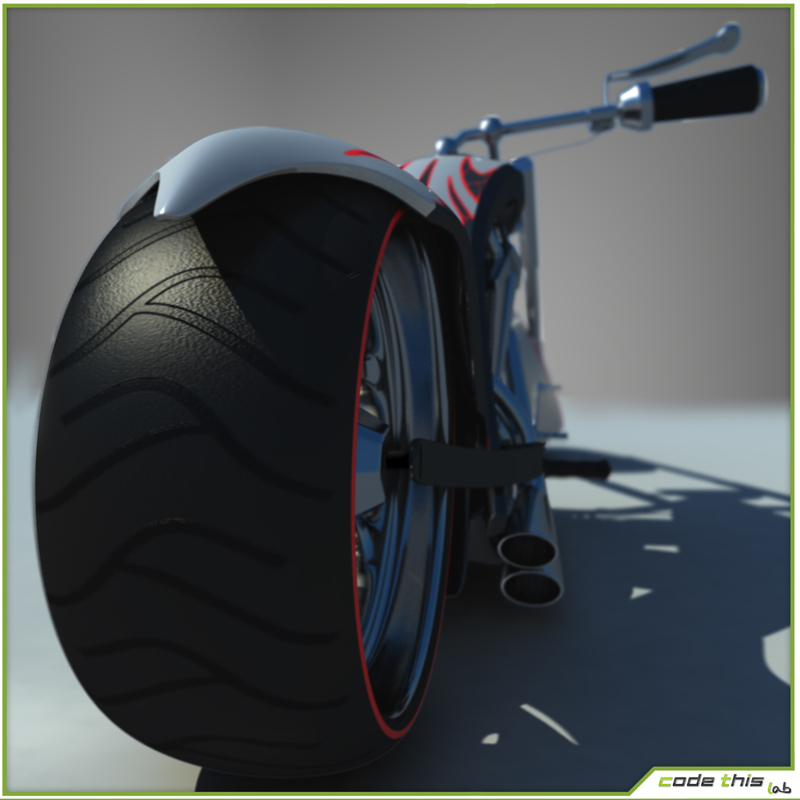 This 3D model is an extreme version of a classic chopper. 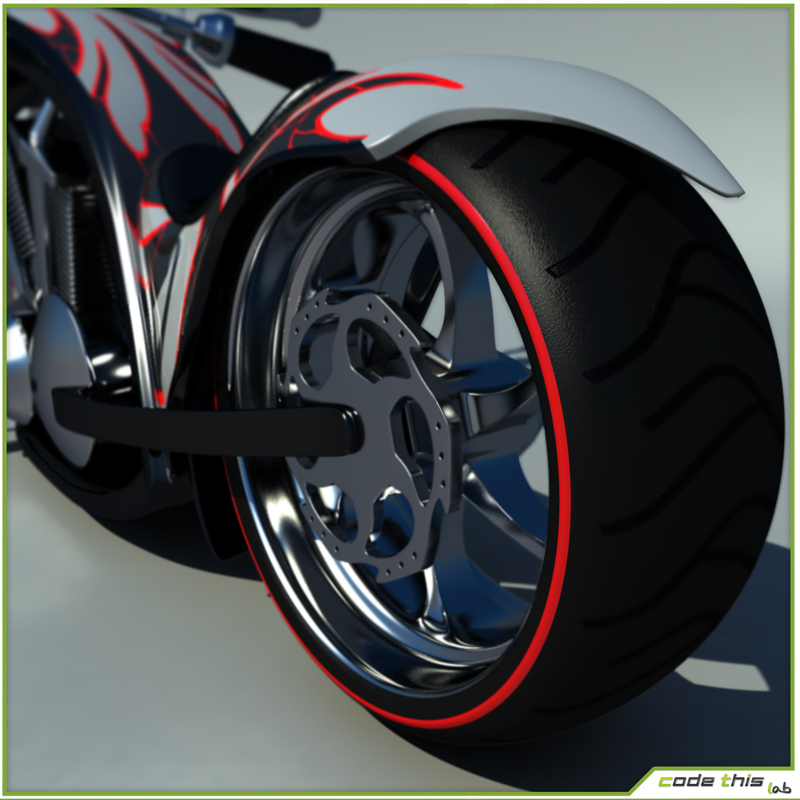 The model has a wide range of details: both wheels have disc brakes and alloy rims entirely modeled in every part. 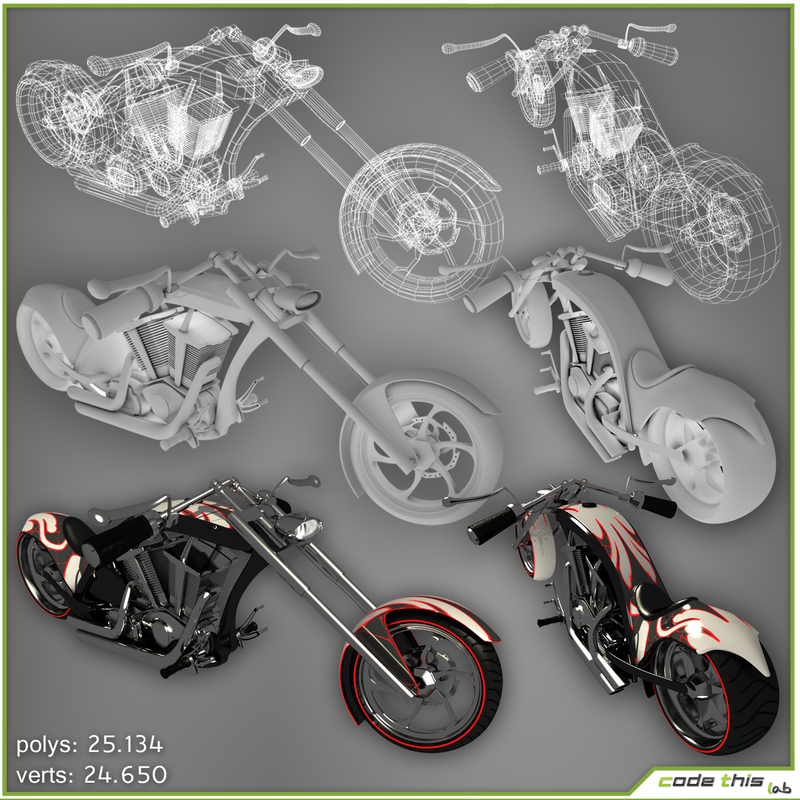 This model is suitable for creating high quality images and is also possible to regulate subdivisions through turbosmooth modifier. 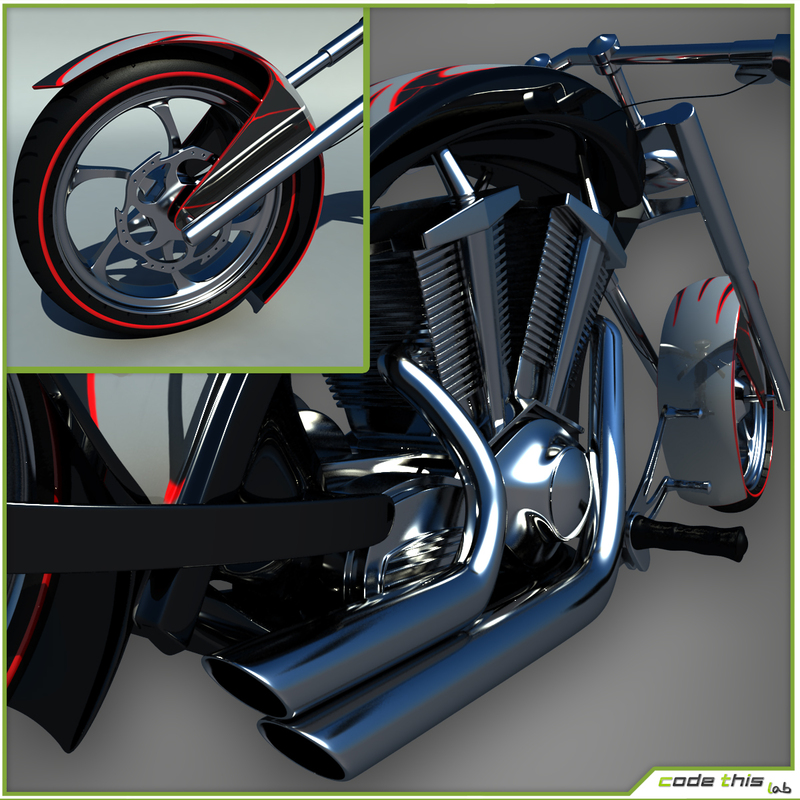 All metal parts are covered with a vray procedural map that simulates the metal. 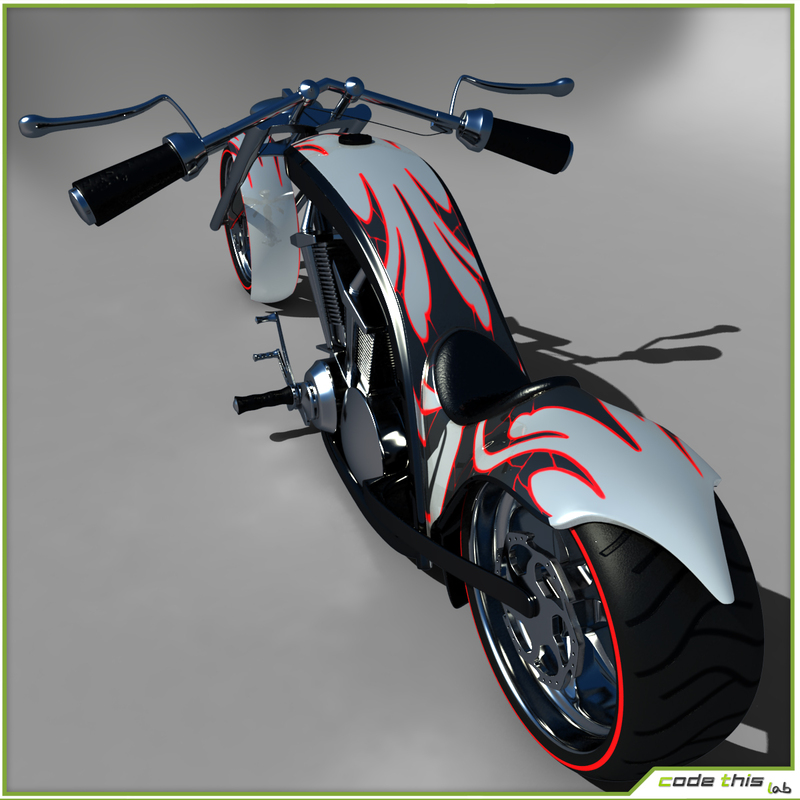 The body is unwrapped and covered with a 1024×1024 texture.